(Washington, D.C., January 25, 2019). On behalf of Dr. Corsi, his legal counsel Larry Klayman and David Gray are issuing this statement on his behalf. 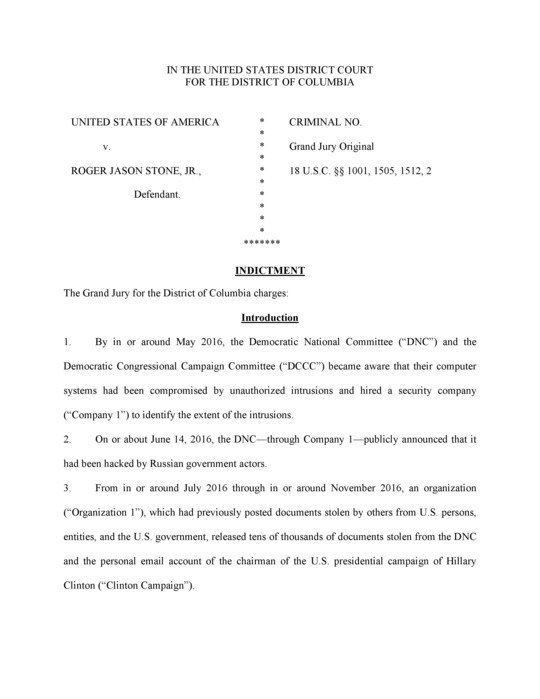 "Dr. Corsi has reviewed the indictment of Roger Stone ('Stone Indictment') which references him as Person 1. Importantly, the Stone Indictment does not accuse Dr. Corsi of any wrongdoing and indeed this is the case. 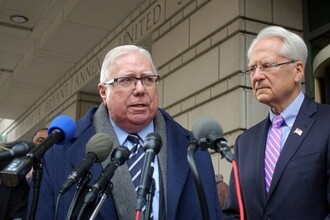 Dr. Corsi has fully cooperated with the Special Counsel and his prosecutors and testified truthfully to the grand jury, as well as during interviews with them. "Interested persons can also learn more about and confirm Dr. Corsi's open, truthful and lawful conduct with the Special Counsel as well as the inside story of this alleged Russian collusion investigation in his new book 'Silent No More,' currently available at Amazon.com. "In sum, it would appear that the Special Counsel's investigation has been thorough and complete and the Stone Indictment is accurate with regard to references to Dr. Corsi, consistent with Dr. Corsi's testimony and interviews, as well as what Dr. Corsi wrote in 'Silent No More,' and confirms that Dr. Corsi has not been and is not being accused of any illegality. "Dr. Corsi has stated on many occasions that he would not lie under oath before his Creator." For more information, obtain Dr. Corsi's book "Silent No More" at Amazon.com or go to www.corsination.com and www.larryklayman.com.